I don't understand this holiday in Russia. 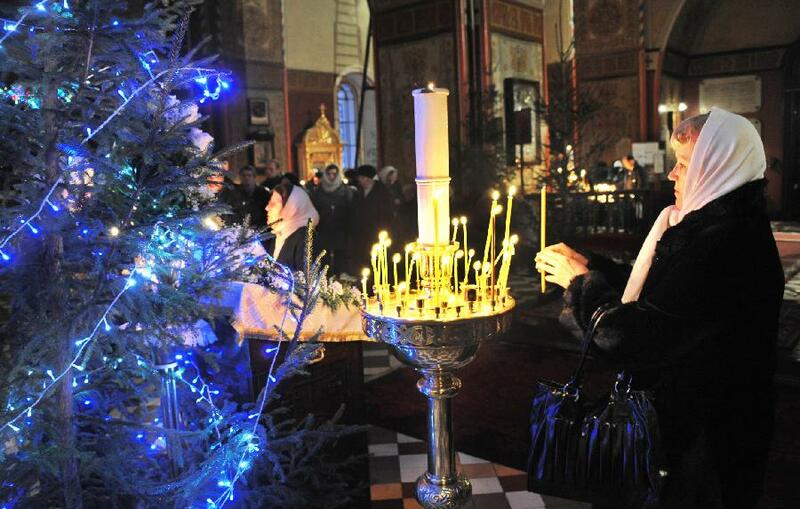 Is it merely a religious observation, or do people also exchange gifts on Orthodox Christmas as they do on New Year's? Congratulations to those who celebrate! I'm not sure how the Orthodox church observes Christmas day, or if it varies from the Christian rituals in the USA and Europe on 25 December, but I hope everyone has a festive day! Cheers from the USA! :) Please share Orthodox Christmas traditions in comments. I'm not religious and don't observe these holy days, but is interesting to learn about cultural distinctions for celebration. Positively, this holiday is completely religious in Russia. But nevertheless, thank you for your congratulation. Thank you! We dont make gifts in those days. You're welcome. I saw some of my Russian friends on Facebook posting photos of gifts this morning, so I got confused. But perhaps everyone has different family traditions. Since Old New Year is on 14 Th January, 6 of January was always Russian Christmas. For me and many my friends there's not anything special about this day. This is a big cultural distinction, because in the U.S. Christmas is observed by both the religious and unbelievers. It has become a secular holiday in many ways, so that everyone can enjoy it. It's an important holiday for religious people. Earlier I congratulated my religious grandmother and grandfather. Now for me it's just a day, when institutions do not work. So how do your grandparents celebrate? Just go to church services? Btw, I'm always amazed there are no chairs or benches in Orthodox churches, and that people stand for the entire service. Для большинства россиян - это обычный выходной из десяти ни кому не нужных нерабочих дней в начале января. Только небольшой процент православных посещают церковь. Шеннон! С Рождеством Христовым, поздравляю Вас!Желаю крепкого сибирского здоровья,море любви и финансов!В подарок старинная русская меднолитая икона "Рождество Христово"! Obviously, it is religious, I never seen gift exchanges on this day. But nevertheless, almost everybody (religious or not) participate - we don't want to miss a party opportunity. Dates difference in celebrating is due to the church changes from Julian to Gregorian calendar. However some orthodox confessions (russian, armenian, 5 or 6) never changed old dates to the new ones for the holiday observations. That is exactly shift in 14 days. I did not mention it, I have nothing to do with it. It is a religious date, not like big sales marathon finish in the US. Seriously, New Year is way better to celebrate for any faithful of faithless people. United we stand. So what day does your family celebrate and exchange gifts in the USA? On 25 December or New Year's? Because your children have grown up in Minnesota, right? It is always good to have faith and hope in something, otherwise life becomes very dark and meaningless. Where does Putin attend church services? In Moscow, or some provincial area? Christmas at us - not only a holiday religious though in a basis the religious tradition lays.. The Majority of those who celebrates it, do not go to this day in church though can consider itself as believing people. In our family it is accepted to mark it, and we love it even more, than New year. Christmas - a holiday more silent and family. More magic. More sincere... Gifts to give really this day it is especially not accepted, as all is already presented in New year:). We have 10 drinking days this winter. -I don't understand this holiday in Russia. - It is Christmas. What is so strange? 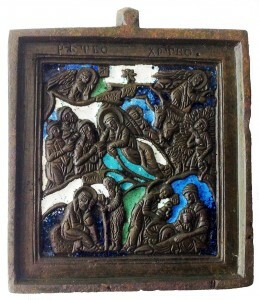 -or do people also exchange gifts on Orthodox Christmas as they do on New Year's? Do you visit Church on Christmas eve? Many Russians do. For me, it's a big difference in the way Russians and Americans celebrate Christmas. In the U.S., Christmas is celebrated by all, even atheists. :)) It is both a secular and religious holiday. No, I don't attend church on any day of the year. I'm agnostic. Some people do celebrate (not many) but for the most it's just a cause to exchange warm wishes once again. Probably this was the reason me and my friends were posting vintage postcards on facebook this night and exchanged with sms texts. Though none of us is at all religious.